Drawing Room - Curtains should be light yet ample with flowing drapery. 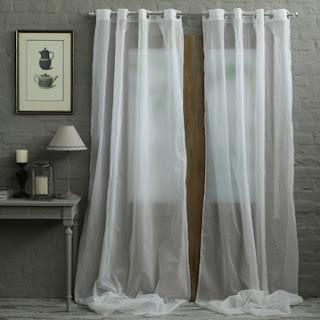 Under-curtains of simply muslin or fine linen, with fringe add much, softening the light from large numerous windows. Frill borders and folded valances should not be lined - rendering them stiff and ungraceful ! Inside lining - (Interlinings) of heavy, sweeping draperies should be thick undressed calico, generously employed, adding ease and grace. Lighter curtains should be lined with a delicate washing silk (Persian Silk) or a glazed cotton lining. The consideration of looping up curtains is a matter of great importance producing further graceful appearance. The English being certainly behind the French in this matter of taste. The English fashion of making curtains a yard ! 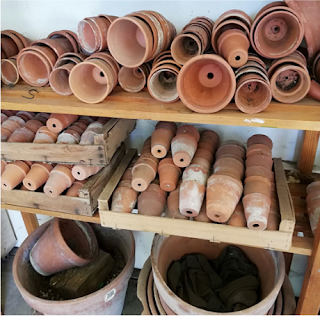 longer to touch the floor, certainly considered by those be a waste of material, to say nothing of the slovenly and dirty appearance and wear. The French fashion is just to let the bottom of the curtains touch the floor. So now you have it !